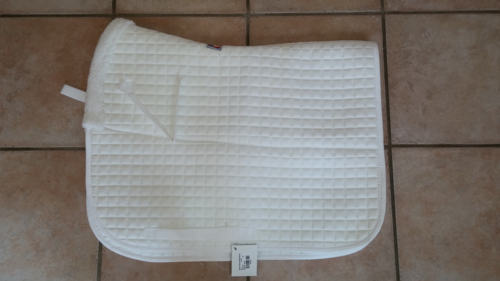 An elegant pad that you can proudly use at Dressage at Devon! 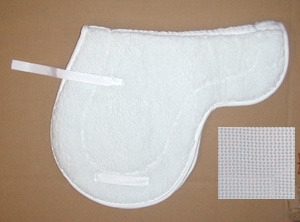 The 5/8" squares quilted into the beautiful cotton twill material create a very stylish look. 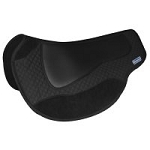 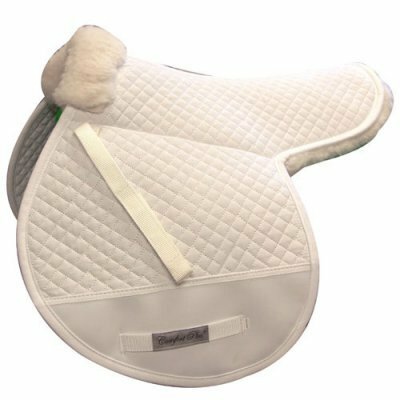 The high wither relief contoured cut of the pad assures that the pad will stay up into the gullet of the saddle and off the horse's spine. 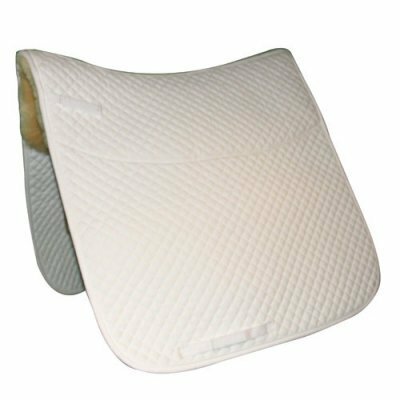 From pommel to cantle and 10" down on either side of the spine is a panel of luxurious genuine sheepskin. 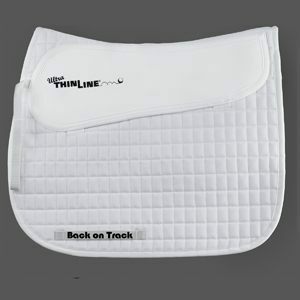 Provides comfort, lift, and circulation...all of which will enhance your horse's performance. 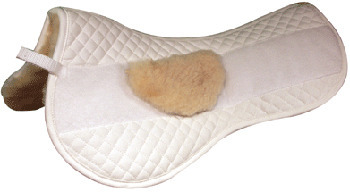 All this at a price you can't resist!